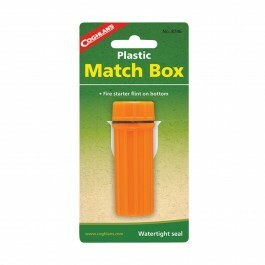 Coghlan's Plastic Match Box is a great way to keep your emergency matches safe, easy-to-find, and dry. 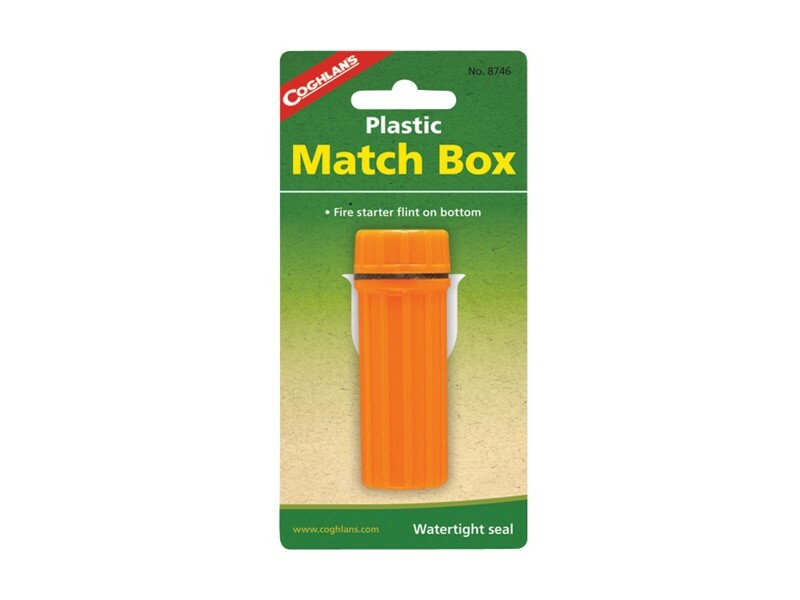 Built-in rubber O-ring seals the camp tight, preventing water from seeping in. 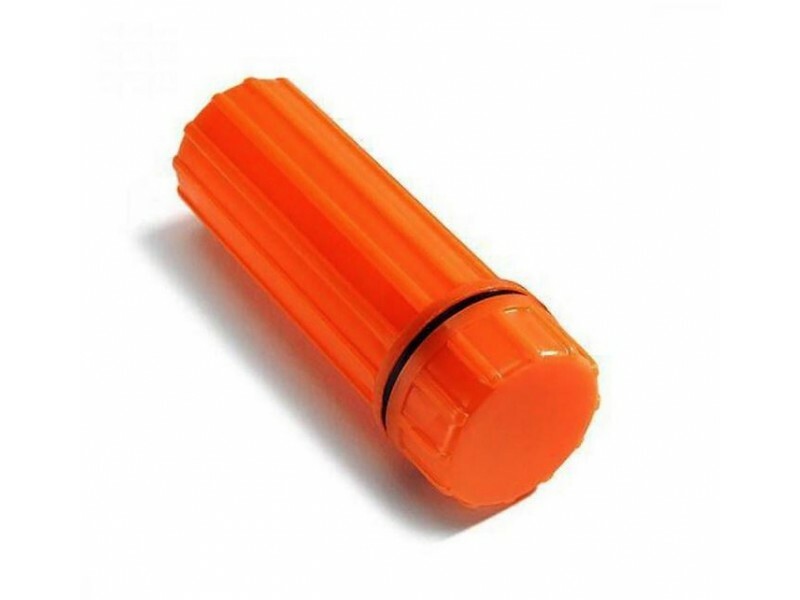 The bright orange color makes it easy to locate indoors, outside or even in low light. 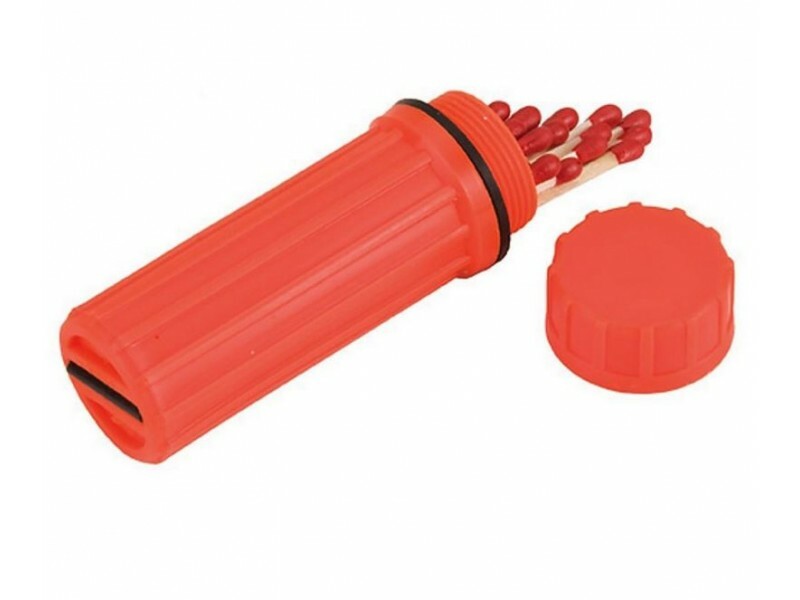 The bottom of the Plastic Match box has a fire starter flint attached.